I want to get into archery because I heard it is good for building strength. What type of bow would you recommend for building muscle? I recommend longbows if you want to get into the really high poundages and build lots of muscle. Longbows can go up to really high poundages - whereas recurve bows only go up to a maximum of roughly 60 lbs. Compounds bows can go pretty high, but they have a let off and are not that good for weightlifting because the letoff reduces the poundage once it is at full draw. eg. A 60 lb compound bow with 75% letoff will feel like only 15 lbs at full draw. Longbows and recurves don't have a letoff and thus are better for weightlifting, and if you want to get into the heavier poundages then longbows is definitely the way to go. If you are looking to buy a longbow in Toronto you have many options. Option 1. Buy a bow from Basically Bows Archery on Queen Street East. Tell Gary I said hello! Gary has the best selection of longbows in the GTA. Option 2. Commission a longbow from Mike Meusel, a local bowyer in Toronto. He made my 36lb pyramid bow "Ramses" for me. Option 3. Shop for a longbow online. eg. howardhillarchery.com sells a variety of longbows. Expect to pay about $600, but they can also make really powerful (expensive) longbows too. For longbows over 75 lbs they charge an extra $2 per lb, and longbows over 100 lbs they charge an extra $5 - up to a maximum of 200 lbs. So if you are doing the math that is about $1150 for a super powerful longbow. However I don't recommend you get yourself a super powerful longbow. You won't even be able to string it. You need to work your way up to that. 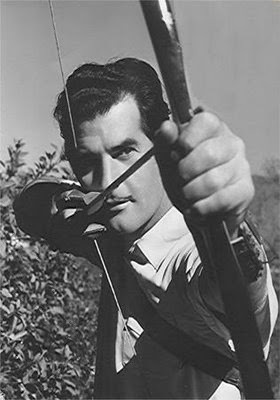 If you are a big guy start with a bow that is between 30 and 40 lbs - make sure in the store you can draw it properly before purchasing - and practice with that bow 3 times (several hours each time) per week for 6 months. Then get yourself another longbow that is 5 lbs heavier and practice with that one for 6 months. If you start with a 35 lb bow and go up by 5 lb increments every 6 months (shooting even in the winter) then after 3 years you should be up to a 65 lb bow - or better, depending on your body type, adrenaline/testosterone levels (hormones that make you build muscles faster), the quality of your diet, and whether you are supplementing your exercise routine with a full body workout. I strongly recommend archers adopt a full body workout that includes weightlifting, yoga, body weight exercises, balance exercises and even yogic breathing exercises. Such exercises will make you stronger, give you better balance, allow you to control your breathing during each shot - and better breathing gets more oxygen to your muscles. Lastly I recommend drinking a whey protein shake after you return home from the archery range / after any weight lifting session. Who says you cannot exercise with your kids? Utter nonsense! 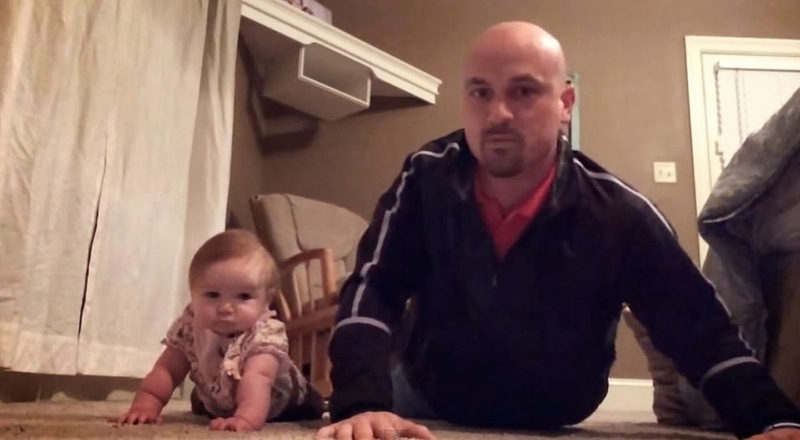 Above is "The Lilly Ann Workout", a video created by father and YouTube user Michael Stansbury to show off the workout he does regularly with his baby daughter. It is undoubtedly the cutest workout video I have ever seen. Anyone who can do 400 pushups will obviously have really nice pecs - simply due to the combination of strength and endurance that is required to do that many pushups. So how do you become a pushups machine? 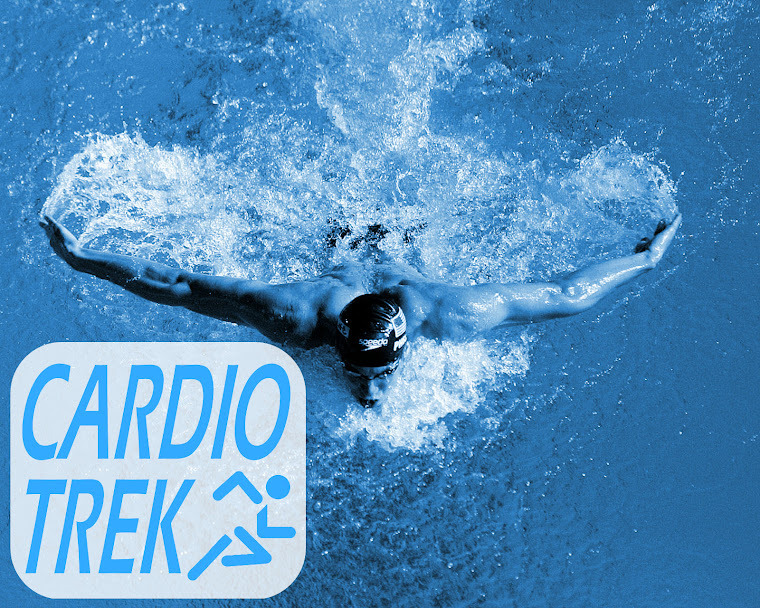 Start by taking Cardio Trek's 400 Pushups Challenge. What you need to do is first be able to do a pushup. If you cannot - due to being overweight or lack of physical strength - then you will need to do lots of cardio (to lose weight) and after you've lost a healthy amount of fat start weightlifting and focusing on upper body strength building. Once you reach the point where you can do at least 10 pushups then you are ready to begin training. Your pushups don't need to be fancy. They could even be an easier version of standard pushups - like the bench pushups demonstrated below. Next determine how many pushups you can actually do before collapsing in a heat of sweat and craving release. If you can do 15 then your start point for the next stage will be 10. If you can do 30 then your start point will be 20. Basically whatever amount it is you can do, multiple it by 66% and that is your starting goal. Do 66% of your maximum pushups. Then take a 2 to 3 minute break and do 66% again. Keep doing this until you have done 400 pushups. So for example lets say you determined you could do 30 pushups at once before collapsing, thus you do 20 pushups during each set - and you do 20 sets of 20, for a total of 400 pushups. That is your goal. Note - It will take you a significant amount of time to total 400 pushups. Think hours due to all of the breaks you are doing. So for example if you watch TV a lot in the evening you can do your pushups during the commercial breaks. Every commercial break until you get all 400 done. If you have difficulty finding time to do that many pushups then set yourself a lower goal like 200 or 100 pushups. The next day you do one extra pushup. Thus in our example you do 21 pushups, for 19 sets. A total of 399 pushups. Every day after that you add 1 extra push up. Some days you might do slightly more or less than 400. When you start getting to the bigger numbers (like 40 or more) you can starting adding a half set or a portion of a set just so you keep the total number of pushups to roughly 400. Assuming a starting point of 20 it should only take you 380 days of training to eventually do 400 pushups. Doing 400 pushups all at once will be exhausting work. It takes about 40 minutes to actually do it because closer to the end you will be pausing for breath between pushups. The good news is that in a period of roughly 1 year you will go from having tiny pecs and being able to do 30 pushups to being able to do hundreds. You will also find that your arms, legs, back muscles are also stronger and have greater endurance. If you take up The 400 Pushups Challenge please let us know by leaving a comment below. Happy exercising! Below is a list of over 100 cardio exercises you can try - and many of them won't cost you much to try them either. 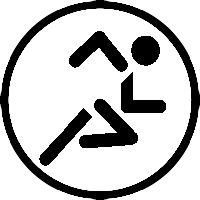 Large and heavy people often have difficulty exercising because they get sore joints, they have very low endurance, they feel embarrassed, etc. 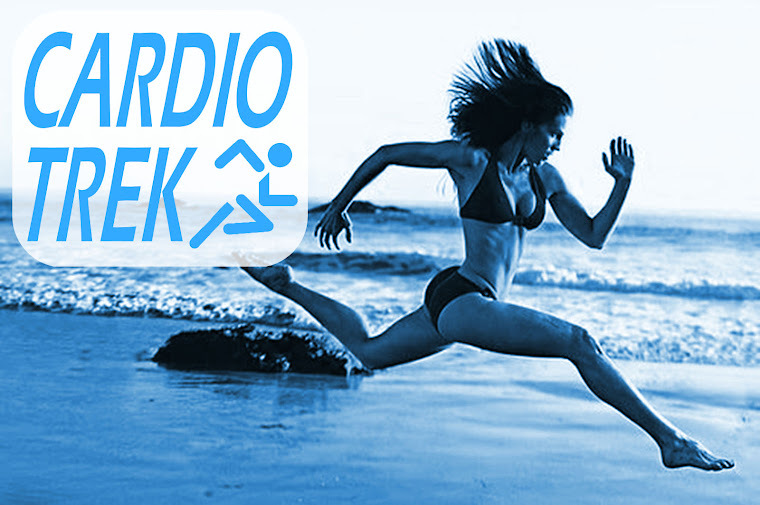 But cardio exercises like running, jogging, etc are very beneficial for people looking to lose weight. Thus it becomes a whole Catch-22 wherein they feel they are "too fat to jog" and thus feel demotivated to exercise. Elderly people with sore knees find jogging too painful on their legs, women with very large breasts cannot find sports bras in their sizes that give them enough support get sore backs and chest pain / sore armpits when trying to jog. And then there are people who might be suffering from a sports injury that makes it too difficult for them to jog. eg. An ankle injury. #1. 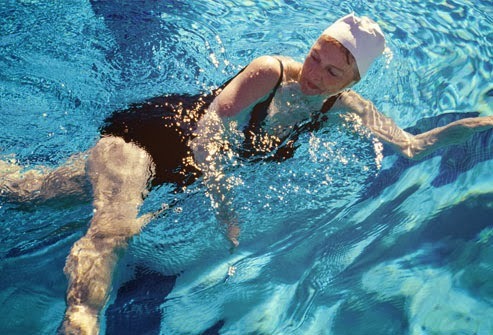 Swimming - Call it the beauty of swimming, but it is great for exercise as it uses as much or as little effort as you feel like putting into it, and you can do it slowly or quickly depending on your endurance - and it is safe for people with knee injuries and won't be problematic for women with large breasts. A 300 lb person doing moderate swimming for 60 minutes will burn approx. 690 calories. #2. 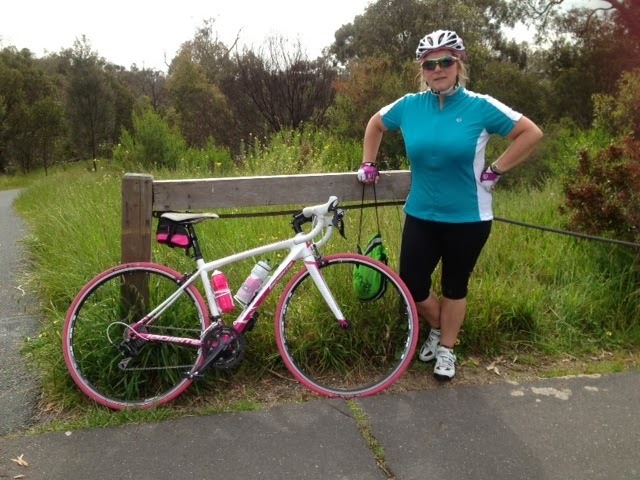 Cycling - This might be trickier for people with sore knees or ankle injuries (it can still be done, but take it slower and don't put excess force on your knees or ankles), but it won't be a problem for people who are heavier or have large breasts. A 300 lb person doing leisure cycling for 60 minutes will burn approx. 450 calories. #3. Household Chores - Honestly this is a long list and includes everything from washing windows to washing the car, gardening to shoveling snow, scrubbing floors to cleaning out the garage. These activities burn calories and you can do them at your own pace, so you can take it easy - which means you get a workout and a clean home too. A 300 lb person washing their car for 60 minutes will burn approx. 510 calories. #4. Power Walking / Hiking / Walking the Dog - Assuming that your knees / ankles are okay with walking, you should also be able to go for "Power Walks" or hikes. Avoid long walks if you have low endurance, and keep it short if you find you have problems with your ankles or knees. If you have a dog try to take them for a short walk twice per day. A 300 lb person walking the dog for 60 minutes at 2 mph will burn approx. 315 calories. #5. Dancing - Again if you have ankle or knee injuries, stick to slow dances. 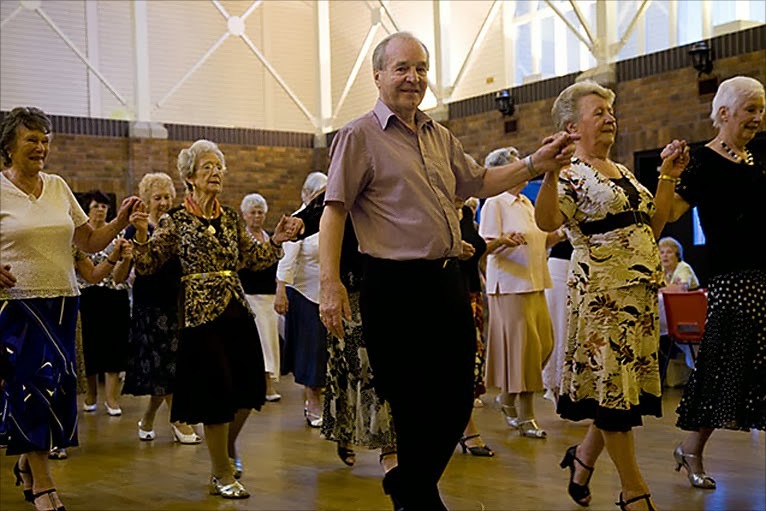 Signing up dance lessons or joining a dancing group might be one of the best decisions you've ever made. A 300 lb person doing leisure dancing for 60 minutes will burn approx. 345 calories. 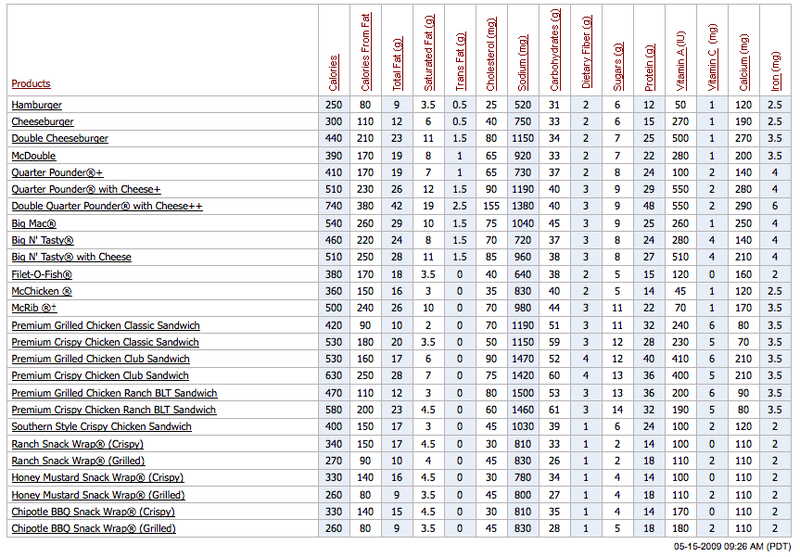 Burning 3500 calories = shedding 1 lb of fat. It takes time, but you can do it. NOTE - Depending on your circumstances I strongly recommend consulting a doctor before signing yourself up for anything strenuous. Stick to lighter exercises when in doubt. 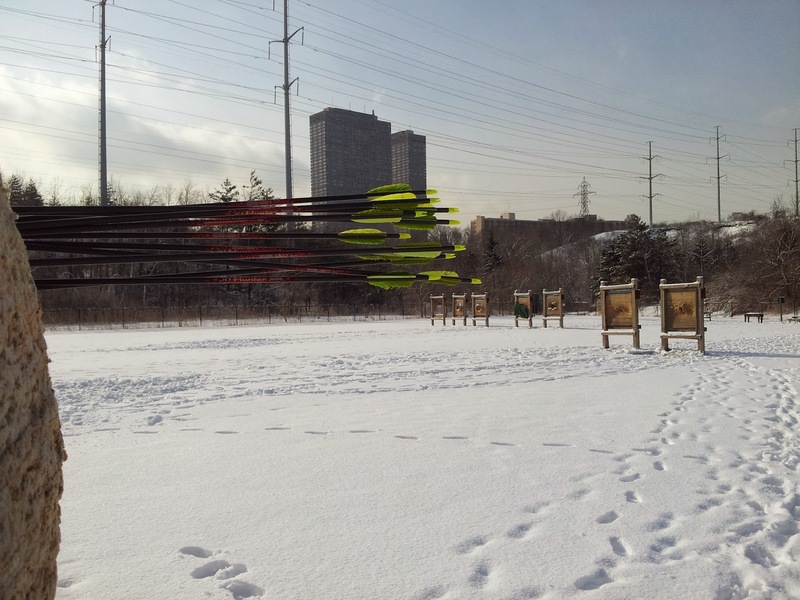 During January and February I sometimes go to the archery range to get some personal practice in. I don't teach archery during the winter, but whenever there is a day where the weather is nice it is fun to go and get some extra practice in. 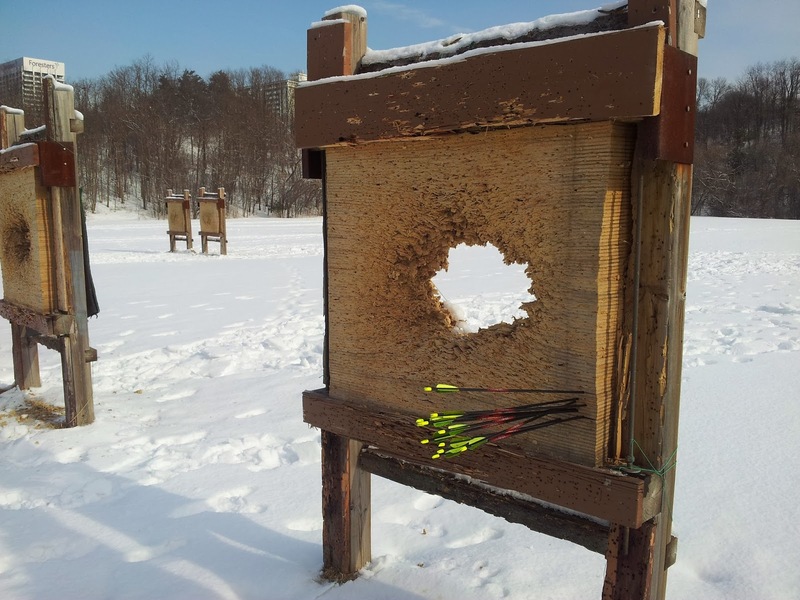 The trick about practicing archery in the winter is whether or not your aim is good enough that you are not missing any shots and having to search for your arrows in the snow. If you're lucky the snow will have a thick icy layer on top and your arrows will just skitter across the top. Another problem is that there is no winter maintenance of the target butts - which means they look pretty decrepit during the winter. You have to aim your shots in the corner so you aren't aiming near the softer middle sections of the target butts - where there is often either a gaping hole or material so soft your arrow goes straight through and keeps going. Because it is so cold outside I strongly recommend wearing multiple layers of clothing. eg. On this particular day I was wearing a t-shirt, a sweater, a hoodie, an outdoor vest, a jacket, a neck warmer, hat and gloves. Alternatively you can also go to a longer range - 50 yards for example - and practice there instead. But you had best have really good aim if you want to be shooting at that distance and hitting the target with tight clusters. I have even made a series of fun videos of myself doing archery in the winter, shown below, wherein I was shooting a snowman for fun. The problem with restaurants and eating out is that the average meal in a restaurant is so packed with calories that you are guaranteed to pack on the pounds if you are eating out in restaurants regularly. Especially if you go to a fast food place like McDonalds where even the tiniest burgers are packed with hundreds of calories. Soups and stews are often overlooked on menus, when in reality they are often the healthiest things on the menu. A good veggie stew, with some chicken, beef or mutton in there will be a very nutritious and filling meal. Salads can be very high on the nutrition - as long as you don't put too much salad dressing on there. Your best option is to eat your salad "vanilla", which means without any dressing at all on there. Just skip the dressing and you will be doing yourself a favor. Also skip the fake bacon bits (they're high in sodium). 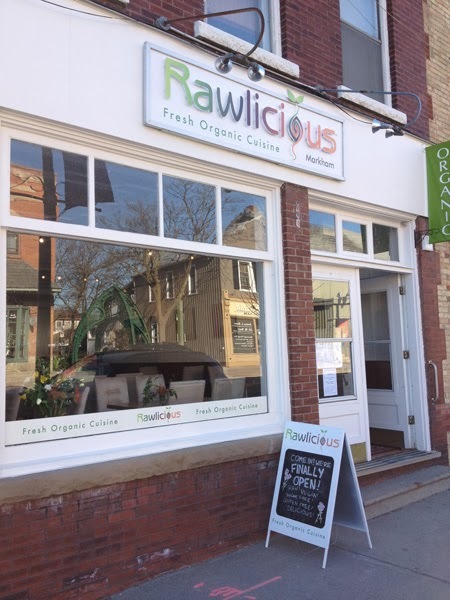 So yeah, no shortage of Vegan restaurants in Toronto to choose from. If you see veggie stirfry on the menu then that is certainly an option. It will have a little bit of fat in there, but it will be mostly vegetables and will be a tasty option. 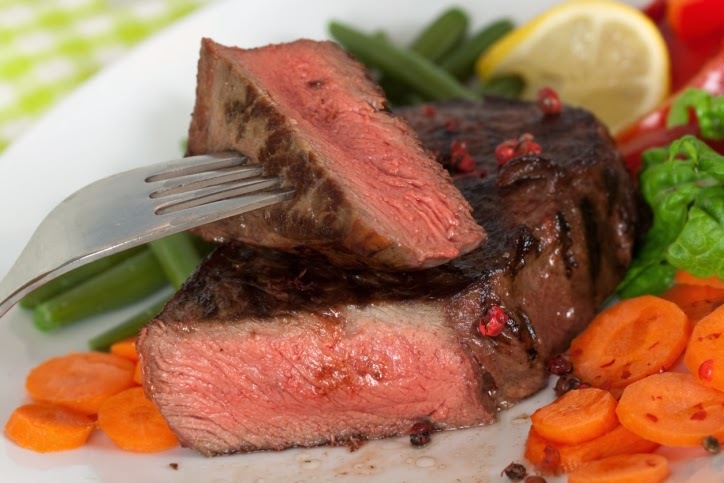 If you do opt for something on the meatier side of things aim for something has very lean meat in it. The leaner the better. Greasy bacon = Bad. A nice lean steak = Good. So if you see "steak and veggies" on the menu that is a good healthy option. Lets face it, wheatgrass drinks are not for everyone. I know wheatgrass is healthy, but I grew up on a farm and the stuff tastes horribly like eating weeds. And juice may seem like a healthy choice but is often packed with extra sugar. But if you see smoothies on the menu - eg. a mango smoothie - then you are in luck. Pick the smoothie! Soups, salads, think veggies, lean meat and smoothies. Proof that you can eat healthy when eating out. You just have to learn how and practice some willpower when it comes to making smart and healthy menu decisions. Exercises to Treat Male Pattern Baldness - Real or Hoax? I read with interest your posts about nose exercises and how you can change the shape of your nose. I was wondering if you have heard anything about exercises or massages or diet plans you can do to either prevent male pattern baldness or to regrow hair where you now have a bald spot? I am afraid that so-called hair growth exercises are a complete hoax. Same goes with massages. Complete hoax designed to get people to buy anti-baldness cream or similar products. 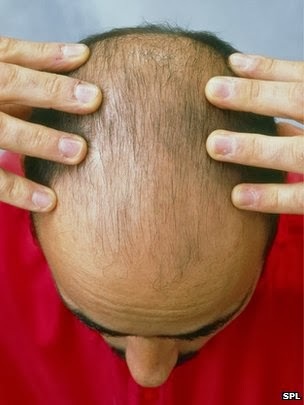 Diet plans on the other hand can help you to grow hair faster - but only in places where you already have hair. I will tell you something I heard years ago. Most men who worry about baldness are worried that they will be less attractive to women. And YET most women don't care about baldness, what they care about is men who take care of themselves. That means exercising regularly, being well-groomed, cleanliness, nice/clean clothes, taking care in their appearance - and presumably also cleaning their home regularly and taking care of their mental well-being. Nose Exercises - Do you actually need them or are you being paranoid about your nose? I recently learned I had what is historically known as Archer's Elbow - which by modern standards is known as Tennis Elbow. Tennis elbow or archer's elbow is a sports injury wherein the outer part of the elbow becomes sore and tender because the area has become inflamed - I have this in both my elbows. It is often associated with playing tennis, badminton, golf and similar sports which involve using the elbows a lot. 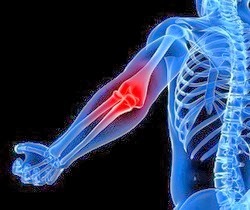 Archer's / Tennis elbow can also be caused by repetitive strain and often effects mouse / keyboard users, mountain climbers, and even people who work with their hands a lot (like carpenters). Why does Archery cause it? When you draw a bow, both elbows go under extreme pressure and strain. Your bow arm elbow has to be fully extended out in front of you and held dead still. It is your extensor muscles and tendons that are responsible for your stable positioning. To draw the string back, it is your flexor muscles and tendons that do most of the work. Archer’s elbow injuries are most common in your bow arm simply because your outer forearm/elbow muscles and tendons are not as strong and powerful as your inner flexor muscles. But you can also get Archer's Elbow in your drawing elbow because of the strain it requires to hold the bow steady. Lastly when you release the bowstring there is a lot of shock and vibrations that travel through your arms and your elbows are more vulnerable. #1. 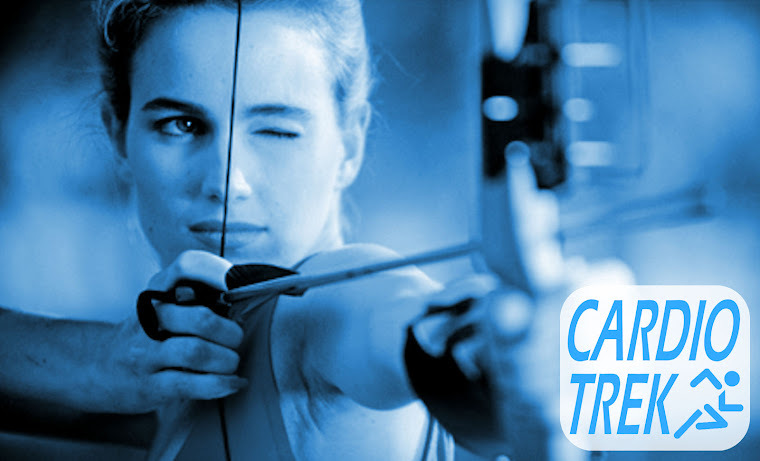 Switch to a lighter poundage of bow or even better, switch to a compound bow that has a let off. #2. Get dampeners and stabilizers for your bow, they will reduce shock damage. #3. Do elbow strengthening exercises. Just make sure they are specific for tennis elbow injuries and they will work well for both prevention and treatment. Non-steroidal anti-inflammatory drugs, like ibuprofen or aspirin. Using heat or cold wraps. Using a brace or strap to reduce the strain on the elbow. Browse Google images to see a variety of different elbow strengthening exercises. Remember while doing these exercises to not squeeze anything too hard and if you are experiencing pain, then you are doing it wrong. Remember light grip and no pain. "To get back my youth I would do anything in the world, except take exercise, get up early, or be respectable." - Oscar Wilde, before he died at the age of 46. "Walking is the best possible exercise. Habituate yourself to walk very far." 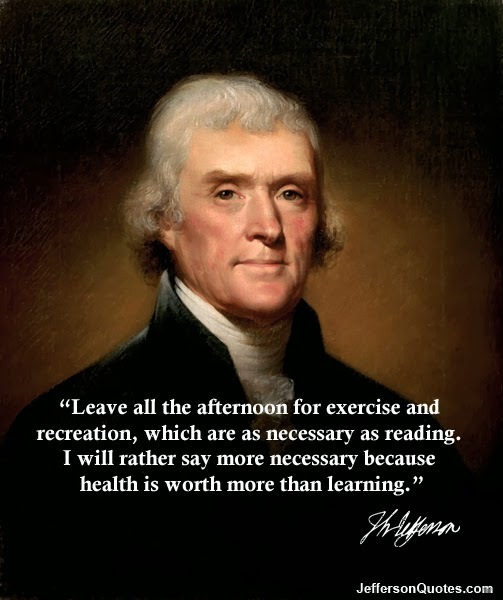 - Thomas Jefferson (1743 - 1826). "Exercise alone provides psychological and physical benefits. However, if you also adopt a strategy that engages your mind while you exercise, you can get a whole host of psychological benefits fairly quickly." - James Rippe, M.D. "Dig where the gold is…unless you just need some exercise." - John M. Capozzi. "Extreme exercise doesn’t save you from poor food choices. It can be difficult to exercise and erase away that chocolate cake or pizza pie. It doesn’t work that way." - Jennifer Hudson. "To resist the frigidity of old age one must combine the body, the mind and the heart - and to keep them in parallel vigor one must exercise, study and love." - Karl von Bonstetten. "Exercise ferments the humors, casts them into their proper channels, throws off redundancies, and helps nature in those secret distributions, without which the body cannot subsist in its vigor, nor the soul act with cheerfulness." - Joseph Addison. "Ultimately, the only power to which man should aspire is that which he exercises over himself." - Elie Wiesel. "Why do strong arms fatigue themselves with frivolous dumbbells? To dig a vineyard is worthier exercise for men." - Marcus Valerius Martialis (40 AD - 103 AD). Note - I could not believe the above quote is real. Did they really have dumbbells 20 centuries ago??? So I decided to do some research, and yes, they really did have dumbbells that many centuries ago. Below are some dumbbells (known as Halteres) from Ancient Greece. They look very different, but not so different as to be unrecognizable. So I learned something today. Huzzah!